Since majority of elderly people these days have no one to take care of them, number of old age homes and retirement homes have increased across Karnataka. 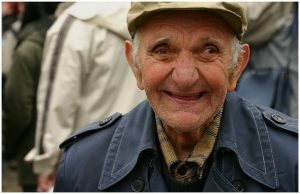 There are both free and paid old age homes, offering basic to luxurious facilities in this state. One of the well-known old-age-homes of Karnataka is the Navchaitanya Old Age Home in Banaswadi, Bangalore. It offers loving care to the elderlies in a hygienic and comfortable environment. The Gharkul old-age-home in Belgaum aims to provide the residents with clean, home-like atmosphere along with modern amenities like rooms with bed and locker, sumptuous food and regular medical checkup. The JSS Old Age Home, Mysore offers free lodging, boarding and medical care to 25 inmates. Navchaitanya Old Age Home is situated in Banaswadi in Bangalore. 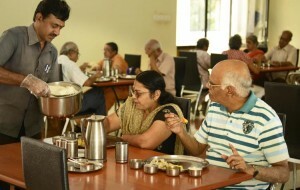 Navchaitanya Old Age Home offers care and the respect the elderly deserve. What makes retirement homes so popular? Are you choosing the right retirement home? Read on to know more about retirement home buying tips. Retirement homes are designed to offer luxury living and the utmost care to senior citizens. Read on to know how retirement homes help you have a secure living after retirement. Panchavati retirement homes in Bangalore is designed to offer luxury living to the senior citizens of the city. Read on to know more about the facilities and other details. What are the things you should consider when buying a retirement home? Here are few useful retirement home buying tips that will help you choose the best life after retirement.